With the initial blogs post on www.pilotschedule.com we think it’s fitting to start at the beginning, Flight School. Whether you are a seasoned professional here to schedule your 10,000th flight hour or a newbie who is looking to schedule your intro flight, it all begins at a flight school. The multitude of different schools and methods for obtaining your training is the subject of this particular post. For American aviators this comes in three primary flavors. Military training is the most structured and rigorous curriculum, and has a very selective screening process for acceptance. This however in no way is a slight towards civilian trained aviators. There are various situations where civil trained pilots may be better prepared in particular within the congested national airspace. Most primary military training is conducted within the confines of military airfields and military operating areas with less time spent interacting with civil aircraft, towers and En Route facilities. This is especially the case with Military Rotorcraft Training which although produces Instrument rated pilots, the majority of the flying they will do in their careers will be under Visual Flight Rules, and the majority of IFR is more like “I Follow Road’s” as opposed to Instrument Flight Rules. That being said, the specific type of training that is required of military aviators is second to none and the equipment and locations that you will fly often times can’t be matched in the civilian world. For those that have a desire to serve their nation in the Air, the Military has some unique and demanding opportunities. The remaining flavors, you guessed it Chocolate and Vanilla. Well not really, Actually Federal Aviation Regulations (FAR) Part 141 and Part 61 are the two remaining types but the ice cream analogy might be somewhat relevant. This is to say they both produce pilots but go about it a bit different. Part 141 is more recognizable to most students in that it is highly regulated and structured with milestones and requirements reminiscent of the American school model. 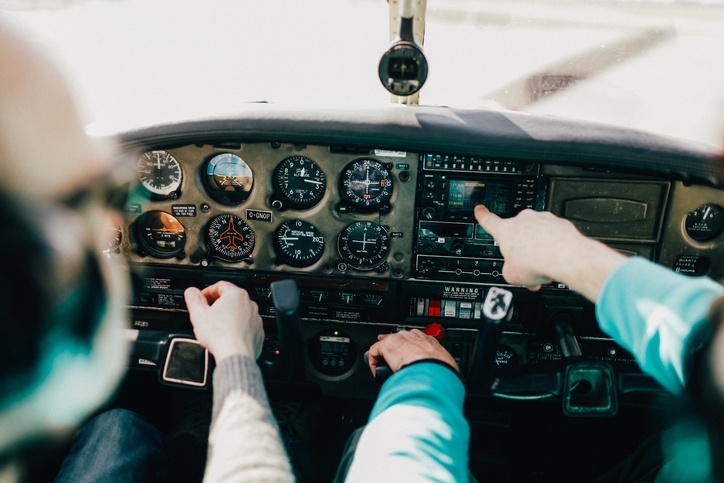 While the standards of performance in order to obtain pilot certification are the same for both Part 141 and 61 the requirements in order to obtain that certification are not always the same. In certain circumstances Part 141 schools are able to provide training in an accelerated program requiring fewer flight hours if the FAA has approved and certified the school to do so. This allows the student to progress faster in some areas and move on to further levels of certifications at a rate faster than their Part 61 counterparts. Aspiring aviators who learn best with heavy structure and are seriously considering aviation as a career will probably find a Part 141 Flight School to be the best fit. A Part 61 program better fits most people who have a career and family and wake up one day with the resolution that they are going to achieve their dream of becoming a pilot. This is however in no way a statement that professional pilots cannot be produced under this method as that is certainly not the case. Many of the finest airmen you will ever meet were trained under a Part 61 curriculum. Part 61 allows you to generally train at your own pace, fly at your own pace, pick your own instructor and earn your wings on your schedule. In the end the performance standards are the same as a part 141 school it’s just the method in getting there that varies a bit. Regardless of how we all received, or are planning to receive our initial training the goal is the same. To be able to safely “Slip the Surly Bonds” and fly another day. Remember we were all new aviators at one time, but we should never stop learning. Fly Safe!